Based on the best selling rifle from Gamo, but now with an attractive beech stock that compliments this rifle beautifully. 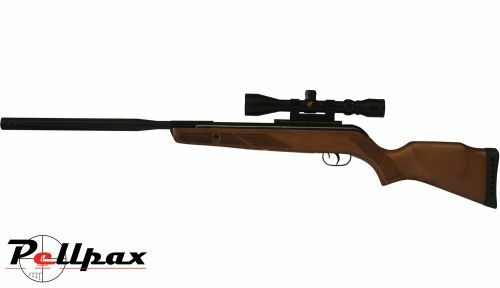 Its full power action is ideal for hunting and target shooting, and being made in Spain the rifle is of very good quality. This rifle also has Gamos tried and tested bull barrel Whisper system which significantly reduces the barrel crack yet not affecting the power or accuracy. Gamos Shock Wave Absorber recoil pad has removable inserts to fine tune to your specific needs, creating a customized, comfortable rifle. This rifle also comes with a 3-9x40 Scope so all you need to add is pellets!